This season, simplicity and elegance are two main themes loved by modern wedding garment designers. There will be different marks on the bridal wears in diverse eras. But some classic tastes will never go out of the stream of times. White is a traditional color. But it is still loved by most contemporary brides. 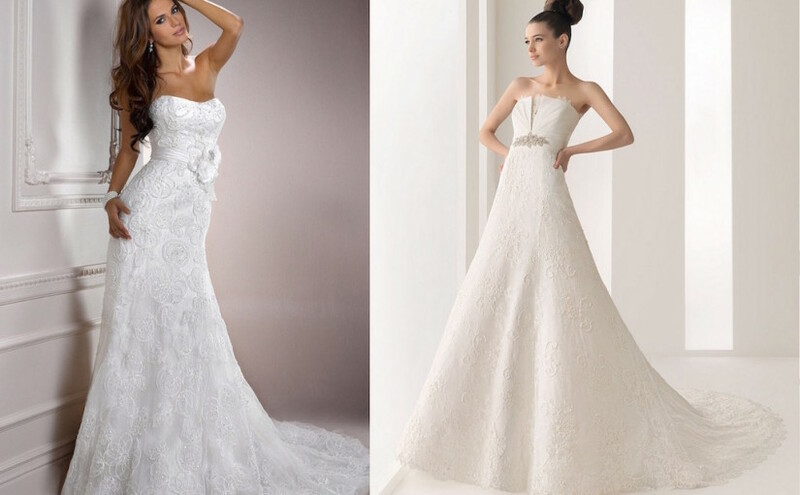 Today, white is also found in almost each collection of hot designer wedding gowns. It is a pure color, symbolizing the bride’ s innocence and her best wishes for the future life. It looks rather simple, but strongly enhances your princess-like look. Most modern wedding dresses are floor-length. It’ s true that long versions seem much more gorgeous than knee-length looks. It’ s a great idea to select a long white ball gown style for a formal church wedding. However, today’ s bridal wears do seem much simpler than earlier styles. Artists do not apply additional decorations upon. On the contrary, an unbroken line is highly pursued.